Prison Narratives from Boethius to Zana critically examines selected works of writers, from the sixth century to the twenty-first century, who were imprisoned for their beliefs. The collection argues that figures such as Boethius, Sir Thomas Malory, John Lilburne, John Bunyan, Henry David Thoreau, Louise Michel, Alice Paul and members of the National Woman's Party, Dietrich Bonhoeffer, Huddie William Ledbetter ('Lead Belly'), Malcolm X, and Mehdi Zana, epitomize the tradition of speaking truth to power and sacrificing physical freedom - even life itself - in the service of that truth. Chapters explore figures' lives, provide close analyses of their works, and offer contextualization of their prison writings. Philip Edward Phillips, Ed. 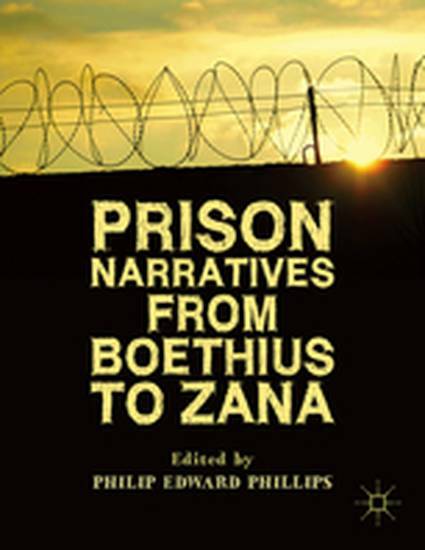 Prison Narratives From Boethius to Zana (1 ed). New York: Palgrave Macmillan, 2014.